I’m in Australia so we don’t get any F150’s or Silverado’s. 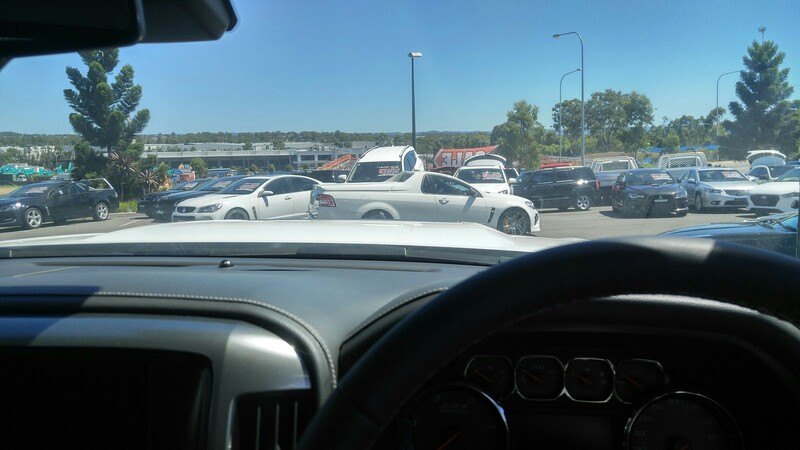 Was out looking at cars today and noticed that the Holden dealer i was at, had a RHD converted Silverado HD2500 Duramax parked out front. Boy was it big, biggest car i probs had ever seen. You have to actually climb into it and jump out of it because the cab is so high off the ground. When you sit in the drivers seat, you are greeted with a massive flat expansive bonnet through the windscreen. The cabin was huge also, so much wider than any other car i’ve been in. The center console storage is so wide and deep, you could probs hide in there. All the controls felt chunky and well built. As I sat there, the driving position just suddenly made me feel superior to every other vehicle on the yard. Previous Previous post: You can only keep one of these BMW M legends.